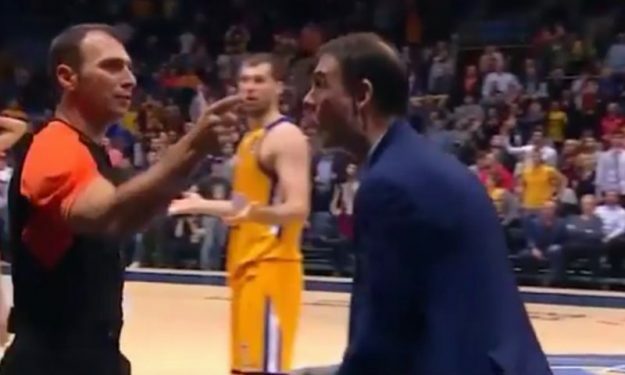 The last seconds of Khimki Moscow – CSKA Moscow were quite heated. Game 4 of the EuroLeague playoffs, between Khimki Moscow and CSKA Moscow, was one for the ages as the two teams battled until the last second. The finale was rather intense in many aspects. Cory Higgins made a quite difficult mid-range jumper after Anthony Gill went 1/2 from the line and then Charles Jenkins scored in transition. It could’ve been a game-winner but the refs didn’t count it since they stopped the game just moments before his bucket. Watch the final moments of the match.